"How can you run and plot at the same time?" British satirist and Veep creator Armando Iannucci continues his sharp streak of bitingly vicious political commentary. 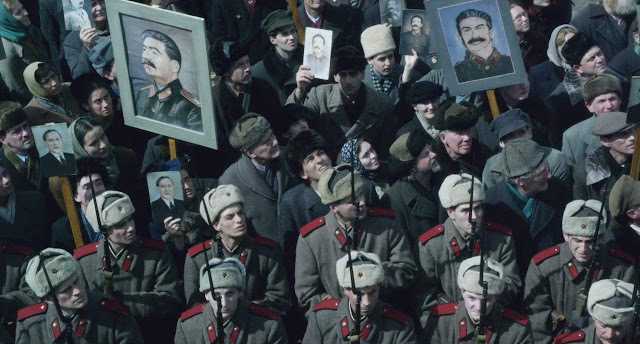 This time, he tackles the thick of Soviet politics as the title would suggest in the immediate aftermath of The Death of Stalin. His use of situational comedy, based on the French graphic novel La Mort de Staline, to express complex historical machinations and the absurdity of power is unsurprisingly sublime as ever. The biographical satire stars the triumvirate of Steve Buscemi as Nikita Khrushchev, Jeffrey Tambor as Georgy Malenkov, and Simon Russell Beale as Lavrentiy Beria all jockeying for real and hard power in the midst of Stalin's sudden death and the subsequent power struggle. How the Communist Party and its inner workings so long dominated by Stalin's presence and iron grip evolved as these men struggled to wield its authority is refreshingly presented. The international cast of comedians and character actors in their natural accents including Andrea Riseborough and Rupert Friend as Stalin's troublesome offspring, Svetlana and Vasily, Michael Palin, Jason Isaacs, Paddy Considine, and Olga Kurylenko are all aces in the highly choreographed dance of comedic acrobatics. The film's bleak tone and dour realization of how Stalinist rule crumbled through purges and imprisonment shows the true colours of political work deftly. Its bureaucratic sense of history grounds the ridiculous antics that cleverly comment on our own contemporary political woes while letting viewers laugh at the narcissistic, deluded tendencies of leaders. Iannucci's latest political comedy of hijinx is just as sharp, witty, devastating, and ridiculous as his contemporary British and American work. The period Soviet subject matter makes the truly violent past of Russia and Stalin's rule more palatable as a comedic premise. 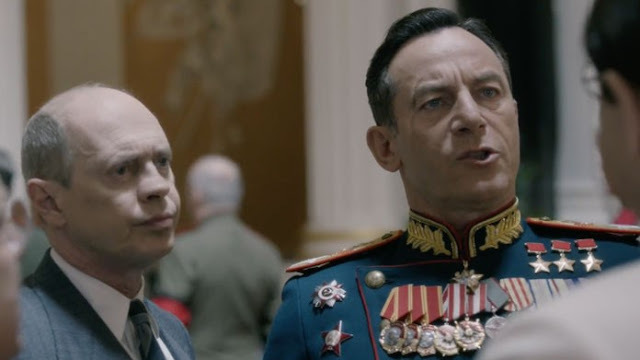 How The Death of Stalin gets across authoritative ambitions through physical comedy, dialogue, and sharp plotting is impressive. It's a delightfully comic act of pure nihilism. The Death of Stalin screened as the opening night film for the inaugural Vancouver Just for Laughs Film Festival at the Rio Theatre for JFL NorthWest.